painting presentation and handing over - hopeandgives Webseite! 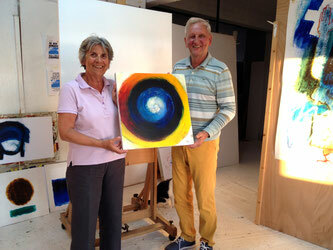 Christoph Broelsch, winner of the "Hope & Give paintings" in week 28 came to see his two paintings at our studio. 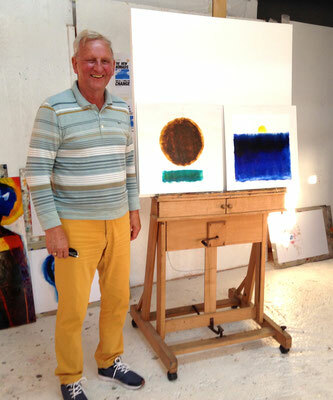 After watching the presented paintings for a short second he said spontaneously: "The second painting I will give to my grandchild Carla!" I hope, that one day God's curse falls on the flats of the violent and the houses of the righteous will be blessed. At the same time, as Christoph Broelsch and his wife Bianka are also sponsors of the project, we had the pleasure to handle over their "your-name-becomes-immortal-perk". Thank you very much for your kind donation. 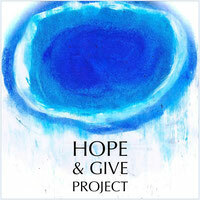 With your contribution and from all the sponsors, we can realize this "Hope & Give" project. Until now we received the amount for 96 paintings, means 48 people will get their "two paintings of hope", one to keep and one to give to another person they want to share hope. 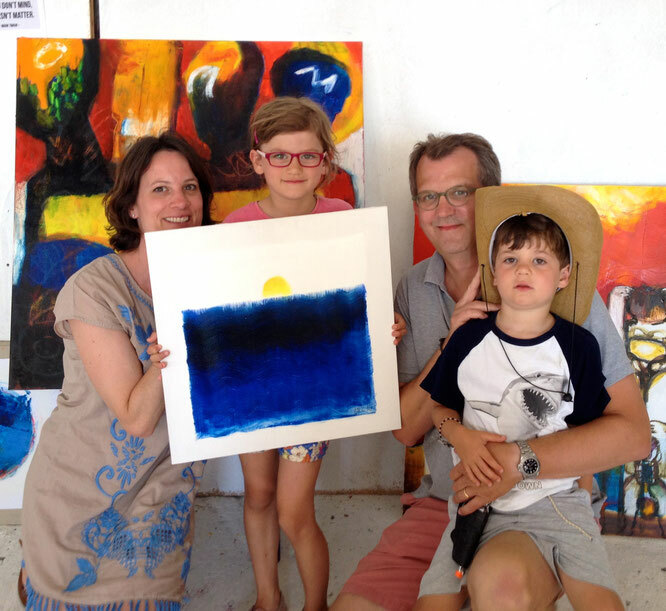 Yesterday we had now the big pleasure to meet Carla, her brother and parents and to give over the painting.